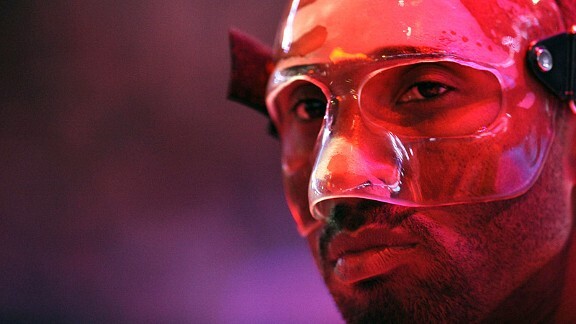 How much would you pay for the Kobe Bryant mask? During the NBA All-Star game Los Angeles Lakers guard, Kobe Bryant suffered a broken nose as well a concussion due to a hard foul by Miami Heat guard, Dwyane Wade. Wade would say after the game that it was un-intentional and that Bryant knew that he had no intent to hurt him. Bryant would tell reporters that he wasn’t too fawned of wearing the mask as he felt like there was a “sauna on his face.” He would also tell reporters that when he was done wearing the mask that he would plan to auction it off in the attempt to raise money for his charity. Though, just a little over two months later, Bryant would keep his word as the mask that he wore for 11 games, would be auctioned off. $67,100 was the final winning bid for the mask on Tuesday’s auction for the mask. The opening bid began at $250 which with Bryant’s signature added to it raised the $250 opening bid by 129 bids and $66,850 selling the mask at the final price of, $67,100. As for where the $67,100 will go, it will go to the Kobe and Vanessa Bryant Family Foundation where the objective of the charity is to put an end to the homeless problems occurring in Los Angeles. There are nearly 50,000 homeless people living on the streets of Los Angeles, and an estimated 7,000 to 10,000 of those homeless are younger than 24, according to the website for My Friend’s Place, a youth homeless shelter that Bryant supports. As for whom the winner of Bryant’s mask was that answer is unknown. Though, the price isn’t; $67,100 sold to man or woman whom we may never know. The NBA’s M.V.P. this season won’t be the right choice. The NBA’s M.V.P. 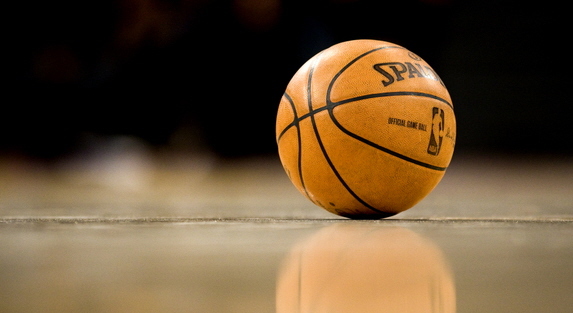 award is one of the most cherished awards in all of basketball and each season, it always raises the question; who’s that year’s best player. However, the true question is, is that the right question that needs to be answered? Answered year after year by a panel of sportswriters and broadcasters from the United States and Canada, the NBA M.V.P. selection process is always a tough decision. Selected after a series of voting, awarded by points as such; first-place votes getting 10 points, second-place votes, seven points, third-place votes, five points, fourth-place votes, three points, and fifth-place votes, one point. M.V.P. or as it stands unabbreviated, Most Valuable Player means as it reads, Most VALUABLE Player. Though, despite being as clear as it’s written, this award, the NBA’s M.V.P. year after year always ends up being misinterpreted. Winner after winner, at-least in past years always ends up being what seems to be that year’s “best” player instead of that year’s most “valuable” player. For instance, in the current M.V.P. standings according to NBA.com, from numbers one to number five goes, LeBron James (Miami Heat), Kevin Durant (Oklahoma City Thunder), Kobe Bryant (Los Angeles Lakers), Chris Paul (Los Angeles Clippers), and Tony Parker (San Antonio Spurs). Now if the award, was selected as for what it truly stands for, Most VALUABE Player, then why is James, Durant, and Bryant ahead of other players such as Kevin Love (Minnesota Timberwolves), Dwight Howard (Orlando Magic), Derrick Rose (Chicago Bulls) and others who show true value. Now, don’t get me wrong, James, Durant, and Bryant are all very valuable players as all three are certainly among the top five players in the NBA. However, they don’t fit the M.V.P. award as the award is given to the Most VALUABLE Player, not the most OUTSTANDING or BEST player. So how do we determine who’s valuable and who’s not? You look at that candidate’s team and ask, if you take this player away (The candidate you are selecting for M.V.P.) would this team still be able to produce wins? Would this team still be able to make it to the playoffs, if they are in the playoffs or contending for them? Or would this team even be able to win games, without this player? Those three questions, based off of the definition of the M.V.P. award should determine the winner of the award each season. Why shouldn’t Kevin Love be the leagues most valuable player? So based off of that theory of the M.V.P. award, the player who should be this years 2012 NBA M.V.P. is Minnesota Timberwolves Forward, Kevin Love. Love averaged a double-double for the third consecutive year in a row now for the Timberwolves as he averaged, 26.0 points per game and 13.3 rebounds per game. Love, who missed eleven games this season due to different reasons, including the last seven games of the season which was due to concussion related problems, saw his Timberwolves struggle to win without him as during those eleven games; the Timberwolves went 2-9. As for the two games that they won, were against the Sacramento Kings (22-44), which they won by two (86-84) and the other victory which they won by 11 points (91-80) was against the Detroit Pistons (25-41). Love did everything and anything in his power, game in and game out just to give the Timberwolves a win. However, even 51 points wasn’t good enough to fulfill that goal. 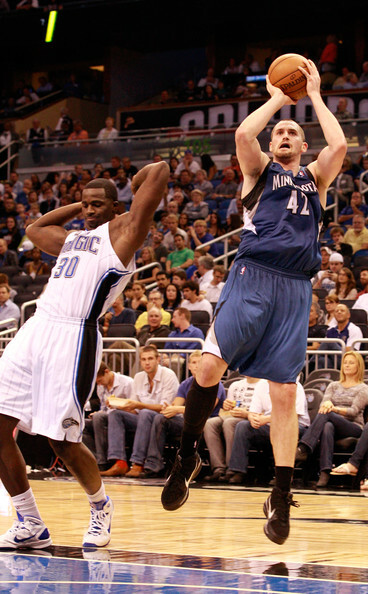 As on Friday, March 23rd in a game the Timberwolves lost to the Oklahoma City Thunder, 149-140, in double overtime. Love who had 51 points, 14 rebounds, 7 three pointers, and a career high performance in points just wasn’t enough to get his Timberwolves a win. So, the point that I’m trying to make here is, the Timberwolves finished 12th in the Western Conference with a record of 26-40. 24 of those wins came with Love; two of them came without him. Take Love away from the Timberwolves this past season and you have yourself the Western Conference version of the Charlotte Bobcats. Love currently ranks sixth in the NBA’s current M.V.P. standings and most likely won’t win the 2012 M.V.P. award. Despite, showing that he’s truly the leagues most VALUABE player it just won’t happen as the selected panel of voters just aren’t getting the true meaning of the award and that’s the player who serves the most value, not who serves as the best player. As for the panel they’re picking the best player in the league and there’s a difference between the most valuable and the best player, as proven with Love this season. This won’t be the first time that the NBA will make the wrong selection for the M.V.P. award, which is why they should make a new award, called the M.O.P., the Most Outstanding Player. Which in that case, Bryant, James and Durant would be ahead of Love as for what order? Well that’s another story. Tags: Kevin Durant, Kevin Love, Kobe Bryant, Lebron James, NBA, NBA M.V.P. Following up a packed Friday night that started off the NBA All-Star weekend with the Celebrity Game where comedian Kevin Hart showed that size didn’t matter and that despite being rejected that he could still win the M.V.P. Following the Celebrity Game, the Rookies took on the Sophomores where rookie Cleveland guard Kyrie Irving showed the NBA that despite being the rook that he still could put on a show as he scored 34 points and was perfect from three hitting all of his eight three pointers. Following a high bar that was set by the Friday night events the Saturday events needed a lot of help. Starting off with the D-League All-Star game fans saw former NBA player and now D-League player Gerald Green score 28 points and lead the West to a 135-132 victory. He would also win the M.V.P. Next up was the Haier Shooting Stars where former New York Knick Alan Houston showed that he was no where near washed up as he not only knocked down his jump shots, but the final half court shot they gave the Knicks the win. Following up Houston’s impressive shooting performance San Antonio Spurs point guard would win the Taco Bell Skills Challenge with a time of 29.2 seconds. After the Skills Challenge players would take the court to prove who had the best three point shot in the NBA. Loaded with some of the NBA’s best shooters, Minnesota Timberwolves’ forward Kevin Love would get 17 points to win in a final showdown against Oklahoma City Thunder forward Kevin Durant. Last but certainly very least impressive of all the Slam Dunk Contest’s of all time was the 2011-12 NBA Sprite Slam Dunk Contest. Competing for the crown as the NBA’s top dunker was Houston Rockets’ guard Chase Budinger, Minnesota Timberwolves’ forward and favorite, Derrick Williams, Indiana Pacers’ guard Paul George, and the replacement, Utah Jazz forward Jeremy Evans all took the floor. Looking like a mixture of dunks that we all saw before Jeremy Evans surprised the world as he not only dunked over a motorcycle but dunked over teammate Gordon Hayward with two basketballs. We saw Williams choke on dunk he attempted several times and saw George whoop out a glow and the dark jersey but nothing was able to top the mediocre performance of Jeremy Evans as he was crowned the champion. Then to close up All-Star weekend was the annual NBA All-Star game where the NBA’s best players competed against each other on their given Eastern Conference and Western Conference teams. It was a game that the Western Conference led for the majority of the game as they set an All-Star record scoring 88 points in the first half. Then in the second half things would get better as Los Angeles Lakers guard Kobe Bryant would set the new All-Star record for most points totaled ever throughout their career with 271 points. Though despite the record breaking performance teammate Kevin Durant from Oklahoma City would win the games M.V.P. with 36 points as the Western Conference would win 152-149. The Steelers are trying to wrap up an extension for QB Ben Roethlisberger, who is headed into the final year of his contract with the team, sources told ESPN. Jason Kidd, who went 183-190 in four-plus seasons while coaching the Nets and Bucks, has interviewed for the Lakers' coaching vacancy, sources told ESPN. Patriots receiver Josh Gordon, who is serving an indefinite NFL suspension, officially signed his restricted free-agent tender on Tuesday, a league source told ESPN's Field Yates, meaning if he is reinstated he would be under contract for 2019. Former financial adviser Marty Blazer, the key government witness in the FBI's college basketball corruption trial, testified Tuesday that he made payments to football players at several colleges as well. Trades, busts, deception, future Hall of Famers and a prayer about going to the Bengals -- the 1999 NFL draft had a little bit of everything. And that was just the first seven picks. Farhan Zaidi is used to being an object of curiosity -- and, among Northern Californians, suspicion. Now, as the president of the Giants, Zaidi represents the future of baseball staring into its obstinate past.